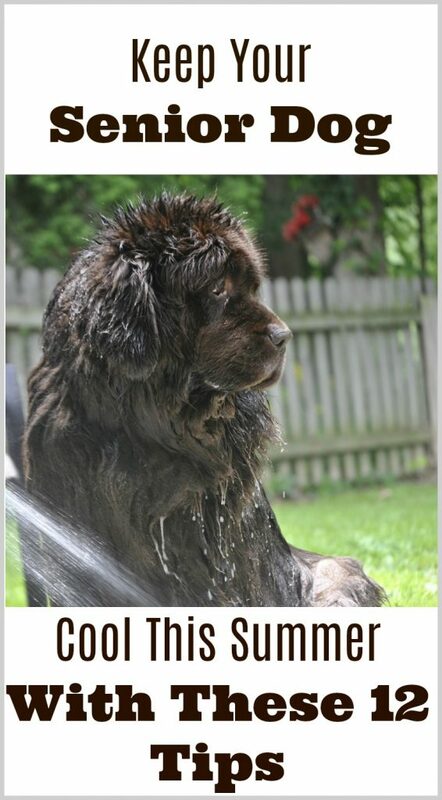 Having a senior Newfoundland in the hot weather months can sometimes be a challenge. The older Sherman and Leroy get the more I worry about the heat of summer affecting them in negative ways. With their thick double coat this breed was made for cool weather but that doesn’t mean they can’t live in warm climates, it just means that you have to take a few extra steps to keep them comfortable in the summer months. Here’s a few things that have helped the boys over the years beat the heat of summer. This is something I learned about several years and I can’t remember from where, but it’s super easy to do. I wrapped a hose around a pole and I used a bungee cord to hold it in place. You can buy misters or you can rig up your own. 2. A doggie pool or sprinkler. Offering a pool for your senior dog to was in can be a great way to let them cool down if they’re going to be outside for prolonged periods of time with you. 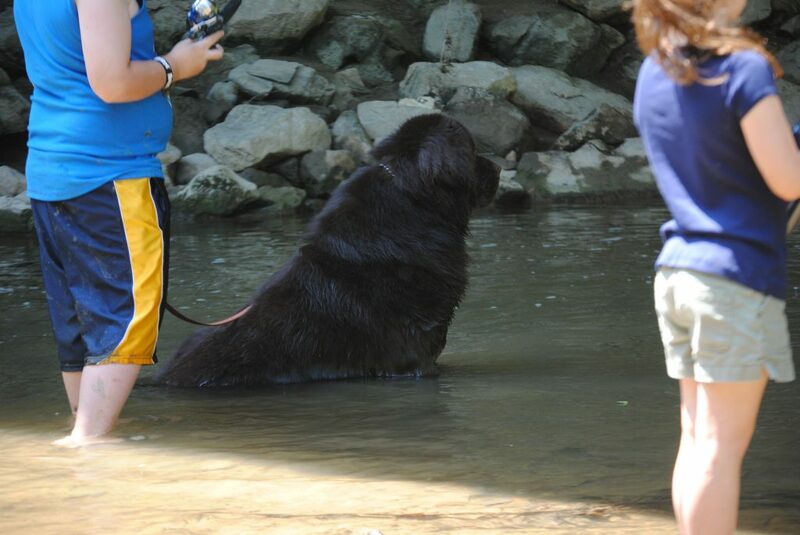 Make sure it’s in a shady area and that the water is cool and clean. You can even add some ice to it! 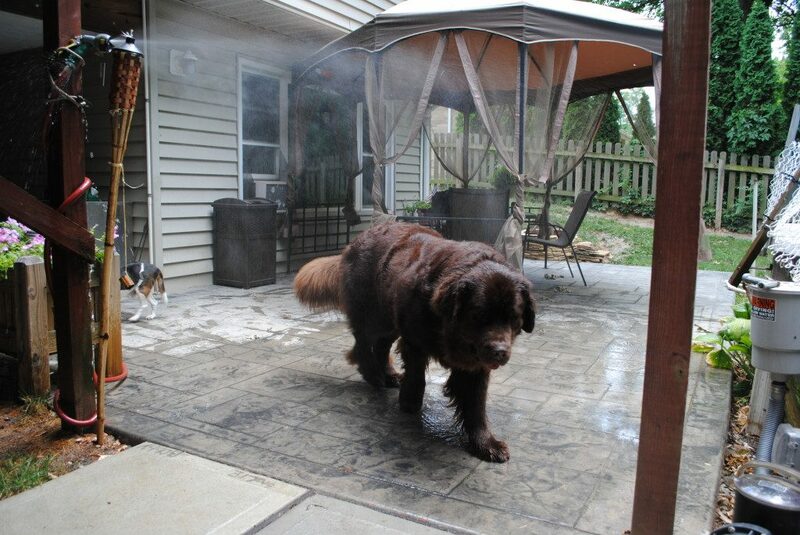 You can also get fun dog friendly sprinklers like the one below! I place buckets of water outside or our DIY Muddy Paw Wash Station if I’m going to out there for awhile doing yard work in hot weather. While Sherman will lounge in his pool for hours, Leroy doesn’t like going in the kiddie pool but he has no problem trying to stuff his legs into a bucket of water. I’m just here to make them happy, not to question their motives. 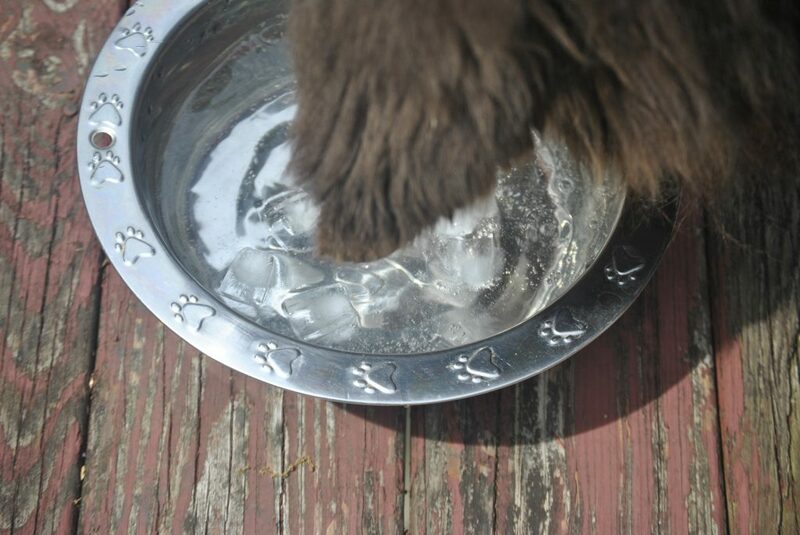 Ice can be a great treat for some dogs and it can also be very refreshing when added to their water bowl. You can crush it if your concerned about it damaging their teeth or you can use ice cubes trays or molds to make cute shapes. The other day I made star shaped ice cubes and in the past I’ve used bone shaped molds to make thinner cubes. 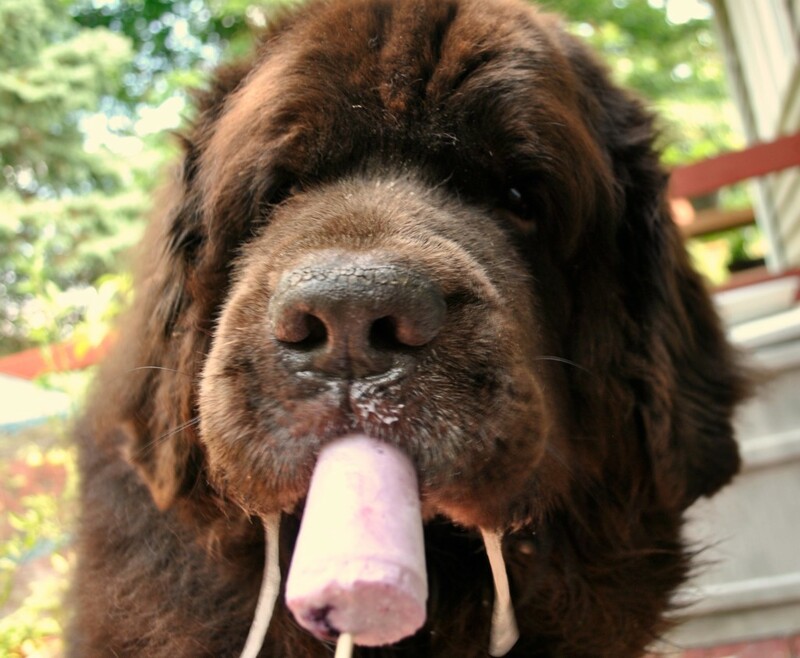 If ice isn’t your dog’s thing, you can search for Pinterest for some fun frozen treats to offer them. There’s a ton of fun recipes that I’ve seen floating around like watermelon, blueberry and even canteloupe! Pet cooling mats are one of our favorite products. The one we have is a pressure activated mat that cools when the dogs lies on it. We have 2 and since they fold up small we take one with us in the car when we travel in the summer. 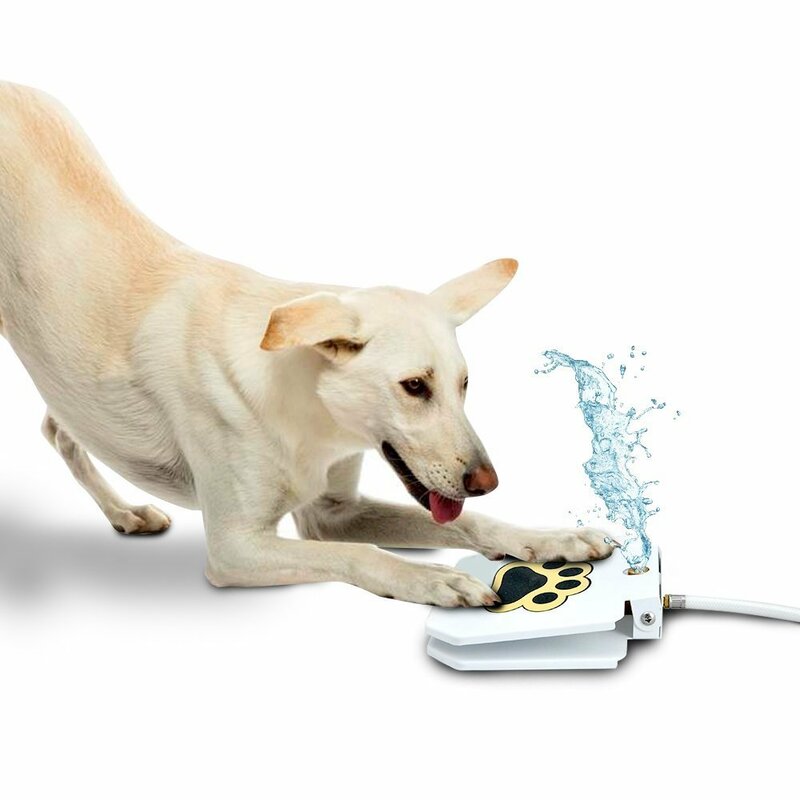 Dogs need to stay hydrated during the summer and water fountains are a great way to offer them clean, filtered, cold water throughout the day. 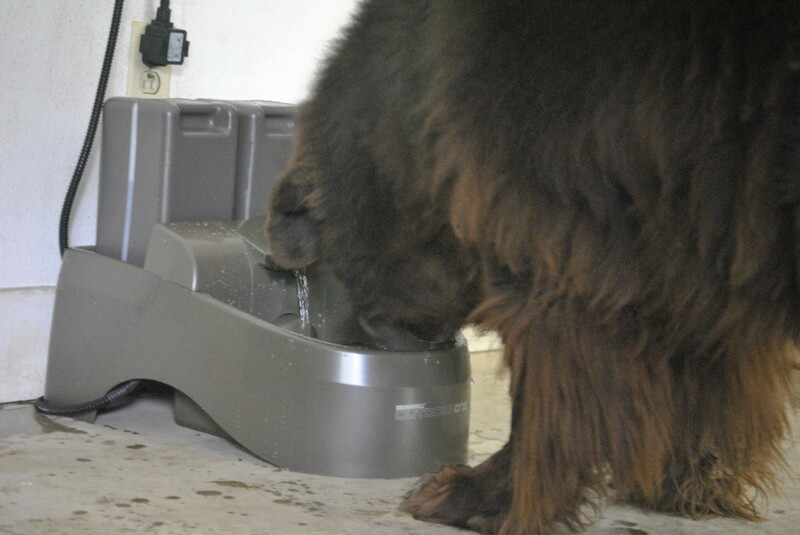 We have the PetSafe Indoor/Outdoor Fountain so in the summer I fill half the water canisters with water and freeze them. 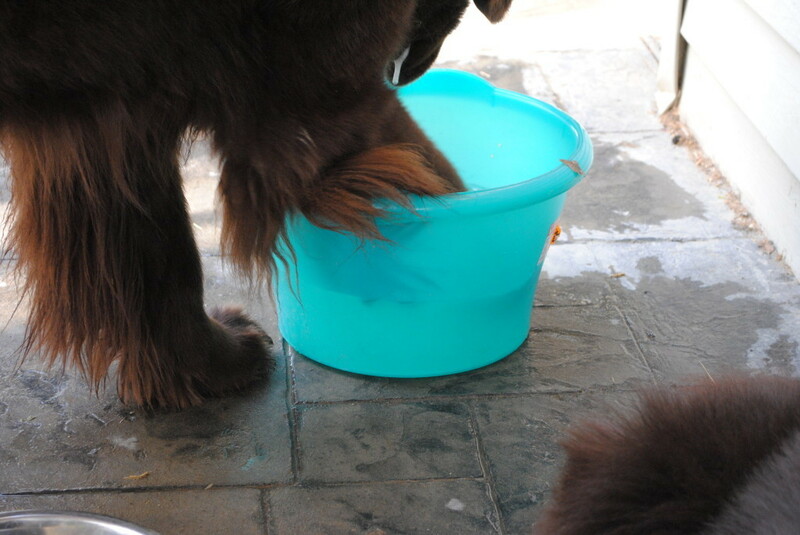 These way the dogs have a constant flow of cool water! Right before the heat of summer hits I’ll brush out their undercoat. This removes a lot of the loose, dead hair and makes way for air to flow through their coats. The last few years I’ve been clipping the hair down on Sherman’s stomach so that he can really benefit from the cool ground that he lies on. While we always have the air conditioner on in the summer we also have multiple floor fans around the house for the boys. We have the standard box fans and tower fans and we even keep one outside on the back patio. Last year I put a plastic water bottle in the freezer and then hung it in the back of one of our floor fans to test out of it would provide more cool air. It seemed to work pretty good! 10. Air Conditioner. I am one of those people who love to have the windows open as much as I can but the Newfs being comfortable comes first. We have floor vents and they lay their big fluffy bodies across them whenever they get a chance. I know that I sleep better when I’m cool rather than when I’m warm so I would assume that would go the same for dogs. 11. Swimming. If you have access to a lake or swimming pool, swimming can be a great summer exercise for senior dogs. It’s low impact and can help those arthritic joints. Just make sure to limit their time in the water so that they’re not exhausting themselves. 12. Keep Walks Short and Travel To a Minimum. We usually do our walks at dusk in the summer and adjust the distance for heat and humidity. I don’t like to travel with Sherman and Leroy much in the hot weather because they get excited and worked up and then they got and it’s hard to get them to cool down. We’ll take short trips somewhere but the days of putting them in the car and going for a hike are over. So that’s’ some of the ways I keep my senior dogs cool in hot weather. Now it’s your turn. 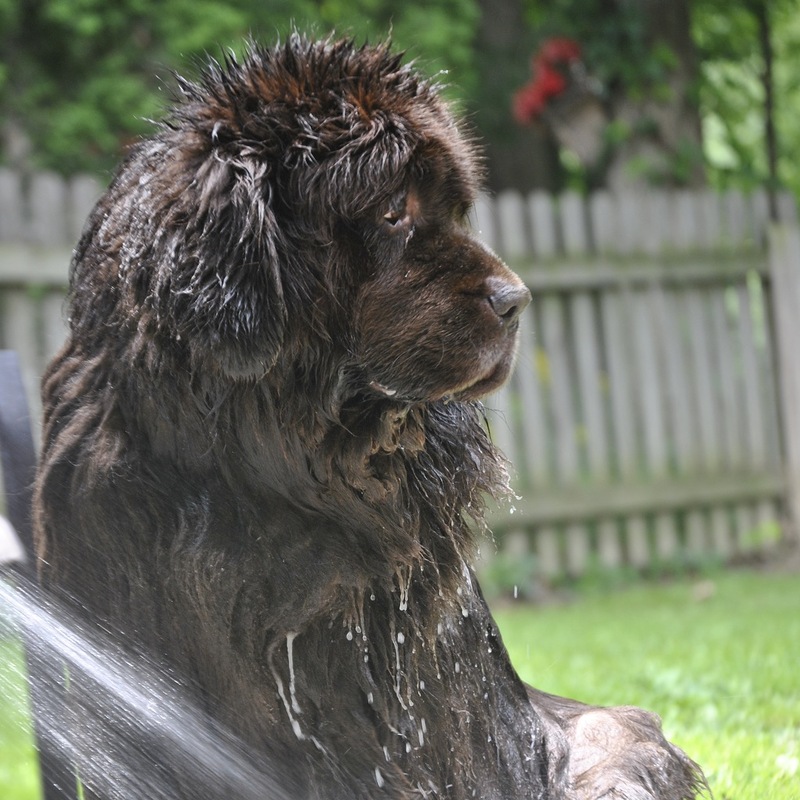 What are some ways you keep your dogs cool in the summer?